Mar 29, 2019 – TORRANCE, Calif. 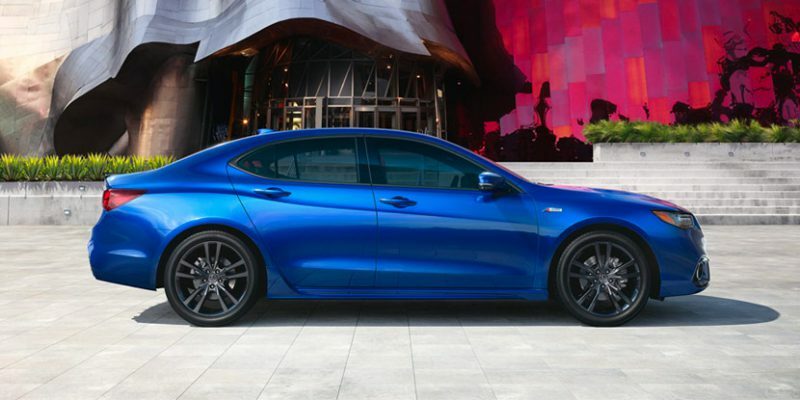 The 2020 Acura TLX is set to begin arriving in Acura dealerships on April 2, bringing with it four new premium exterior color options. The 2020 TLX will continue to be offered with two performance-minded powertrains, an available A-Spec sport appearance package, as well as a long list of premium features including the AcuraWatch® suite of advanced safety and driver-assistive technologies, standard on every TLX. Acura’s midsize performance luxury sedan is coming off a solid 2018, where TLX outpaced key competitors from BMW, Lexus, Audi and Infititi in retail sales1. TLX V6 models can be equipped with Acura’s renowned Super Handling All-Wheel Drive™ (SH-AWD®) technology. SH-AWD allows up to 70 percent of torque to be distributed to the rear wheels, and up to 100-percent of that torque to be transfered to either the right-rear or left-rear wheel, creating outstanding control and agility in all weather conditions. A host of premium features standard on the 2020 Acura TLX include the AcuraWatch™ suite of advanced safety and driver-assistive technologies, Jewel Eye® LED headlights, a 10-way power driver’s seat, heated front seats, Smart Entry with push button start, and an intuitive dual-screen user interface (ODMD 2.0), with Apple CarPlay™ and Android Auto™ integration. The TLX A-Spec, first introduced in the 2018 model year, continues to offer drivers a distinct, sport-themed appearance option, with A-Spec exclusive design elements inside and out. TLX A-spec features include a matte-black diamond pentagon grille surrounded by a dark chrome border, aggressive lower front fascia with broad center air opening flanked by round LED fog lights, and a dark appearance for the signature Jewel Eye LED headlights. A-Spec exclusive 19-inch alloy wheels finished in Shark Gray paint are wrapped with 245/40-series tires. A-Spec exteriors include a rear gloss-black decklid spoiler, “smoked” LED taillights, an exclusive rear fascia featuring a lower diffuser accented by 4-inch round dual exhaust finishers and a matte-black side window surround. A-Spec badges appear on the front fenders and rear decklid. A-Spec models are available in several colors, including a trim exclusive Apex Blue Pearl. Inside, the TLX A-Spec features aggressively bolstered front seats with high-contrast stitching and piping, red LED ambient lighting, red driver’s meter highlights, a black headliner and pillar treatment, brushed aluminum-look instrument panel garnish and pedals, and a thick-rimmed steering wheel with A-Spec badging. Two exciting interior themes are offered on A-Spec models; Black leather with black Alcantara™ inserts or a Full Red leather. 1 Manufacturer’s Suggested Retail Price (MSRP) excluding tax, license, registration, $995 destination charge and options. Dealer prices may vary.